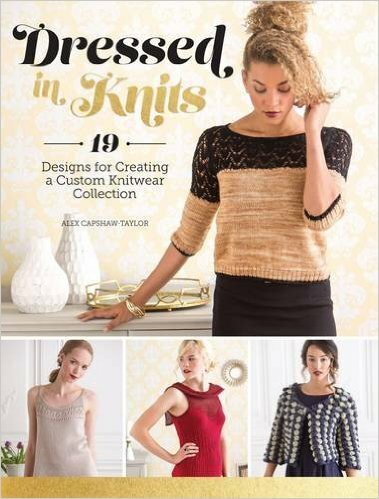 Our top knitting book picks. Reading patterns has really helped my knitting skills to soar and helped me to be able to visualize the construction of a project or understand how to alter a pattern to achieve a desired effect. There are some really great books out there that I’ve learned tons from, and there are other books that require more advanced understanding of knitting construction to understand. 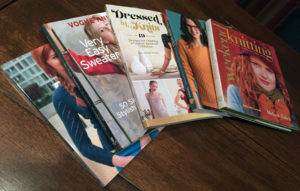 While the competition was tough, we pulled together a list of the top 5 knitting books on our shelves that every knitter must have on their bookshelves. Hopefully you enjoy them as much as I do! Happy knitting! 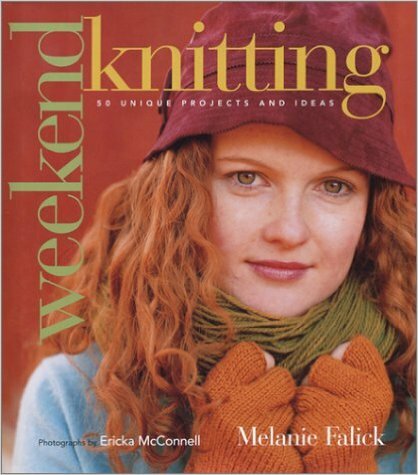 Weekend Knitting whisks you away to an enchanting world of knitting. 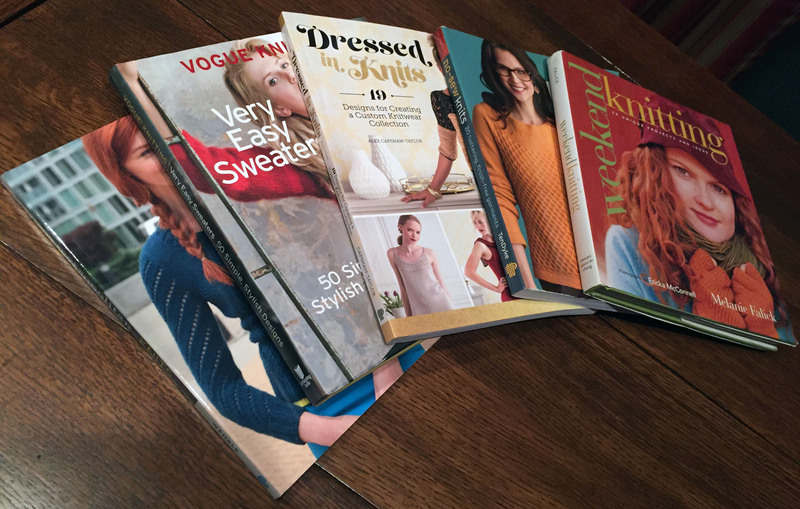 Falick not only shares a diverse pattern collection from various artists, but also includes whimsical ideas, baked goods recipes and a list of movies and books where knitting takes place! Each pattern is well written and some even help walk you through customization so you learn as you go. Savor every moment of reading this knitting book and trying out each pattern. Ok, on this one the striking color combinations and rich texture on the front cover drew me in, but the contents led me to purchase. No-Sew Knits includes a rich array of patterns for diverse skill levels that are (as the name suggests) finish free! I love that once you’re done knitting one of these patterns, you don’t need to dedicate oodles of time to add finishing details. Just block and wear! 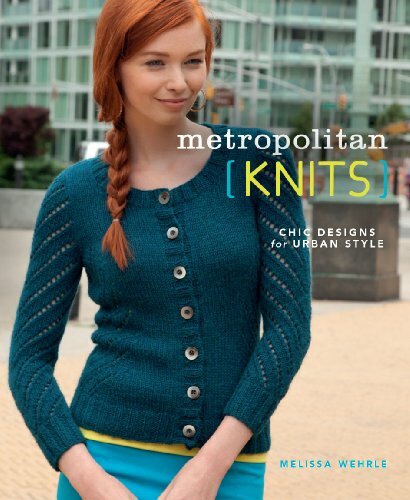 Both sweaters and accessories grace the pages of Metropolitan Knits which features intriguing patterns for the chic knitter. Projects include beautiful lace designs and chunky cables while most projects are made using a traditional construction method. If you love using your DPN’s then check out the Opera House Mitts which include a three dimensional diamond motif. 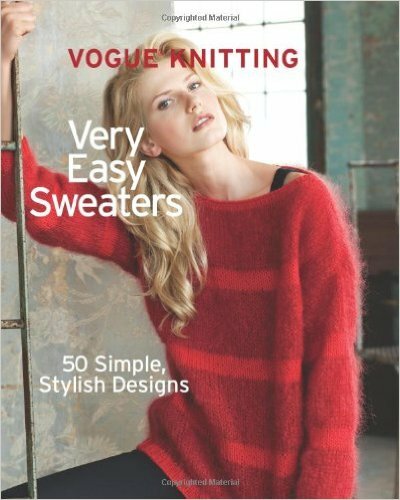 Amazingly easy book to navigate, Vogue Knitting: Very Easy Sweaters takes you through various stitch patterns and garment shapes to quickly find the perfect sweater to knit. 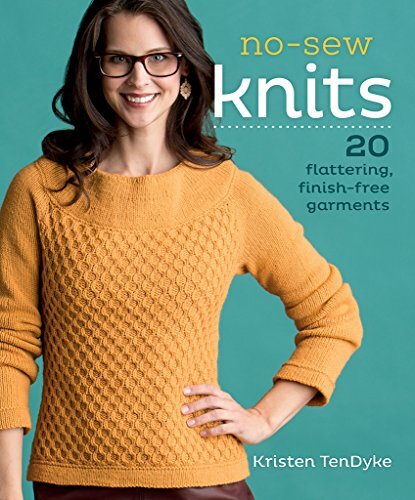 The book is logically divided so you can find what you need quickly and all the patterns actually are fairly easy to knit from a construction standpoint. Check out our full review for more info. I’ve seen lots of books proclaim they hold the perfect patterns to complete knit wear wardrobe, but non of them deliver like this book. Dressed in Knits features beautiful, wearable patterns that will stand the test of time. I especially love the creativity combining various yarn weights within a project and even the drop dead gorgeous lace panel featured on the Montreal Cardigan pattern.